Every website you’ve ever visited, every email you’ve ever sent or received and everything you’ve shared through social media is recorded and memorized. California Assembly Bill AB 1291, also called the “Right to Know” Act, will provide technology and internet users a glimpse into what the companies who collect this data know about them as well as the right to know who else this information has been sold or handed over to. Here at City on a Hill Press we understand how important it is for individuals to have access to their visible public profile in our ubiquitously digital age. We support the passage of California’s AB 1291 and the ideology of internet freedom and the safety it represents. This ideology extends beyond the necessity of manageable privacy and easy access to info sold to purveyors of targeted ads. The utility and locus of control over this information must be shifted into the hands of its creators and patrons. Companies will inevitably point to obscure fine print in their terms and conditions asserting ownership over all submitted content. Aside from giving websites the right to sell stats on the products you like and your personal inclinations, these contracts often act as renouncements of ownership over anything uploaded and shared. Accessibility must be the right to know what one is agreeing to share. With the great number of new websites people let into their lives on a daily basis, the amount of time required to read and interpret even one of these policies is unsustainable. A word count on every section of Facebook’s data use policy and privacy instructions clocks in at 9,365 words. The real issue here is the manageability of one’s personal portrait. The average citizen can’t be expected to have the time to keep track of everything they write or post and who it could possibly belong to. With the knowledge of what’s already recorded about their lives, users can make more informed decisions about what they publish, what websites they open up to and how they conduct themselves online. Greater freedom of information is not something that should be subjected to the sluggishness of state politics. The United Kingdom’s 15-year old Data Protection Act gives the nation’s tech users the ability to control one’s public personal data — surely an issue so immediately invested in social safety and human security could and should be implemented federally in the United States. CHP advocates a call for greater freedom of digital information. California’s Right to Know Act is more than a step in the right direction — it has the ability to usher in a more informed and aware digital public. 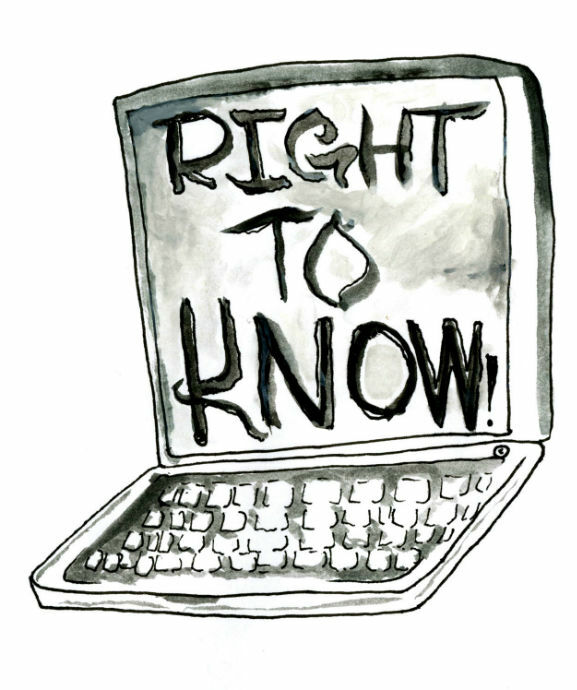 The right to know is an inherent prerequisite to a functioning democratic system.